Back cover blurb: You wake up to find the man beside you is dead. He is not your husband. This is not your bed. What do you do? Tara Logan lives a quiet life with her husband, Noah, and two children, teenager Rosie and eleven-year-old Spencer. But her peace is shattered when she wakes in her neighbour Lee’s bed, with no memory of how she got there or what happened between them. And worse – he has been stabbed to death. Convinced she didn’t kill Lee, Tara stays silent, fearing the truth will rip her family apart. But as her daughter spirals out of control, and her husband becomes increasingly distant, Tara soon realises that someone in her life knows what really happened to Lee. She must get to the truth before they do. Tara made a mistake … but will one night cost her everything? A gripping, shocking psychological thriller, with a twist that will take you by surprise. When Tara Logan wakes up in her neigbour Lee's bed, she is fearful that she has done something stupid. She is happily married with two children, but although she cannot remember sleeping with Lee, she realises that she surely must have to have ended up naked in bed with him. Tara's nightmare doesn't end there, for Lee is very much dead. Murdered in fact. Tara knows that she didn't do it. But if she cannot remember sleeping what him then what else might she have forgotten? Tara doesn't say a word to anyone, just slips home without notifying the Police, knowing that she can't hide forever but realising she can't stay or they will find her there and assume the worst. While You Were Sleeping is a gripping novel with a killer twist that will surprise even the most prolific thriller readers. 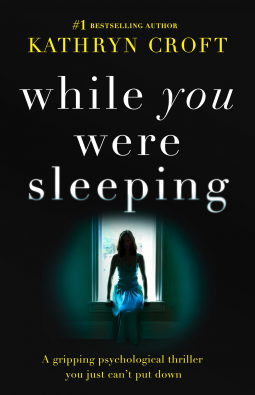 While You Were Sleeping is available now via Amazon online and all good book shops.